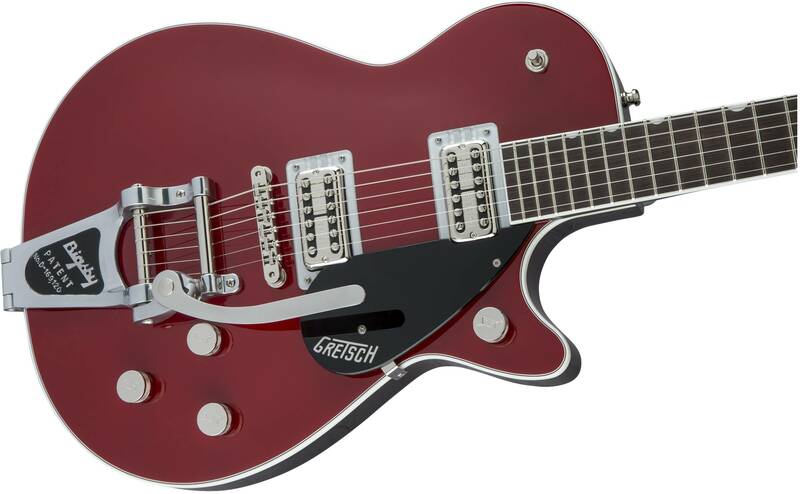 Flagship Jet™ Performance For 65 years the Gretsch Jet™ has fueled stages and studios producing some of the greatest sounds in rock 'n' roll history. 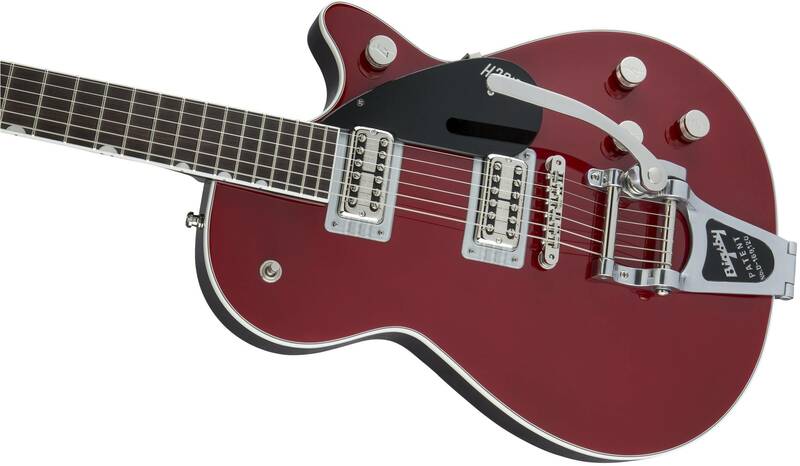 The all-new G6131T Players Edition Jet™ FT with Bigsby® is the culmination of over half a century of tonal and performance magic. 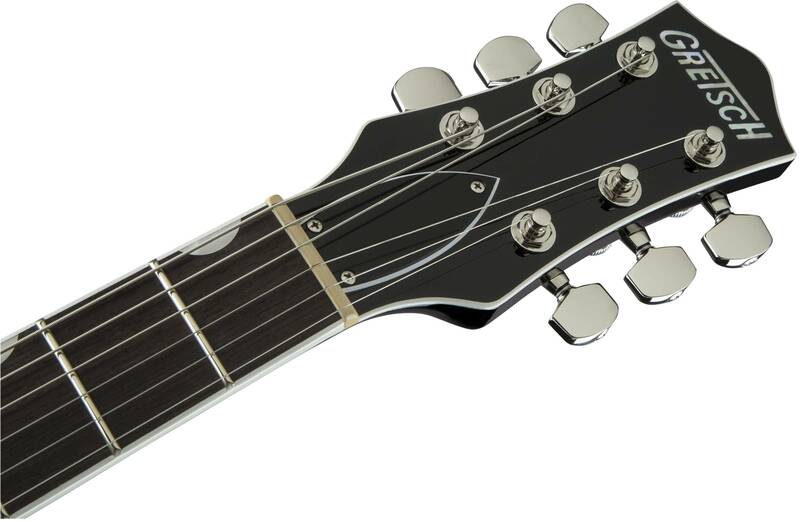 Players Edition Comfort, Control & Performance Responding to players' need for increased comfort, the Jet FT features a lowered neck set that greatly improves fret-hand mobility while also giving the picking hand a closer approach, increasing comfort and accuracy. 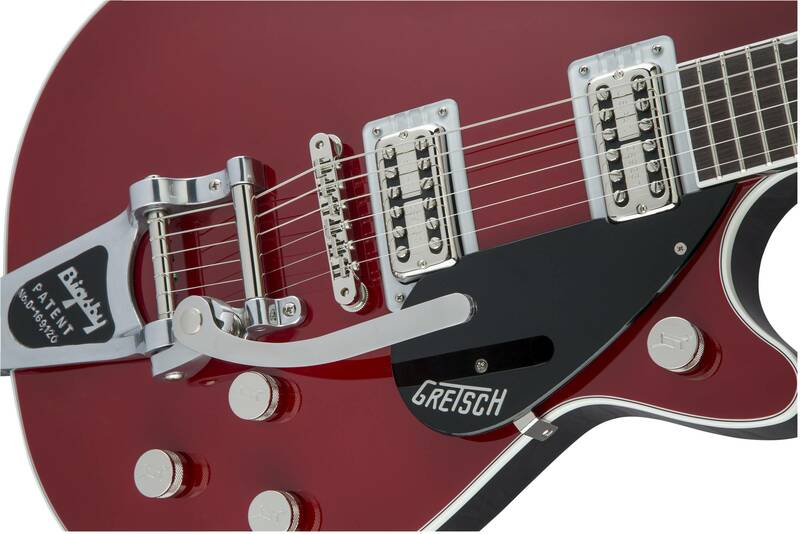 Our new full-access rolled cutaway and tapered heel allows the free access to upper frets without awkward pivoting or palm obstruction. This sleek design remains hidden, preserving a vintage aesthetic – a critical feature that is meant to be felt, not seen.